Shinco has added a ‘Voice Recognition’ feature into the Smart TV, allowing users to command the TV via the Sensy Remote App installed on the user’s smartphone. The Air Click Remote allows users to operate the TV from any corner of the room and the TV runs on Android 7.0 with an App Store for downloading streaming apps. 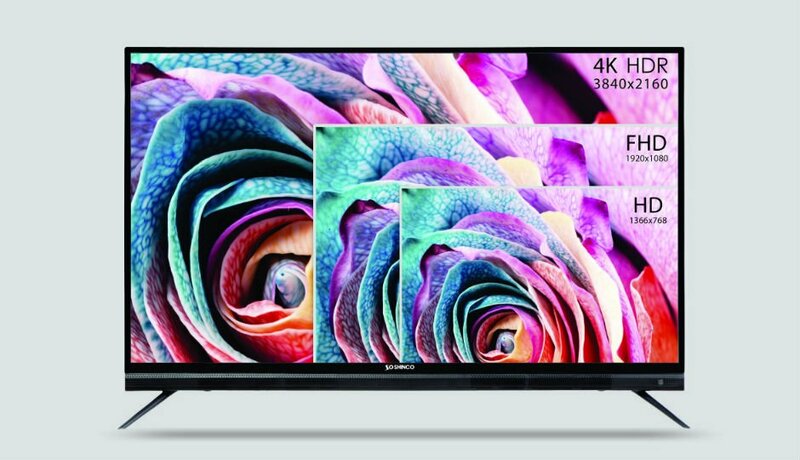 Shinco has launched its 65-Inch 4K Smart TV for a launch price of Rs 49,990 in India which will be valid till January 23, soon after which its price will be revised to Rs 59,990. The TV will compete with the likes of Xiaomi’s latest Mi LED TV 4X PRO, Kodak’s UHDX 4K Smart TV and Akai’s 65-inch 4K Ultra HD Smart LED TV as affordable options in large sizes. The 4K Smart TV comes with a 65-Inch Quantum Luminit DLED display with a 178-degree viewing angle, resolution of 3840 x 2160 pixels, 95% NTSC Wide Colour Gamut and HDR10 support. It’s powered by a Cortex A73 Dual Core 800MHz with a Dual Core Mali450-540MHz, 1GB of RAM and 8GB of internal storage. Shinco has added a ‘Voice Recognition’ feature into the Smart TV, allowing users to command the TV via the Sensy Remote App installed on the user’s smartphone. The Air Click Remote equips a QWERTY Keyboard and allows users to operate the TV from any corner of the room. The 65-inch Smart TV also comes with a 20W soundbar with Boosted Tweeters and Dolby Digital for utmost clarity. 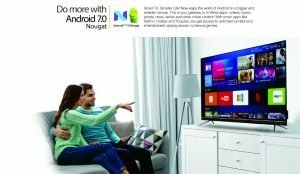 The Shinco 65-Inch 4K Smart TV runs on Android 7.0 with an App Store which allows users to download audio and video streaming apps to enjoy content online. Additional features include Screen Capture, M.Cast, E-Share, AirPlay and a Mouse cursor on a remote. Speaking about the launch, Shinco India Founder, Arjun Bajaj said “I believe the bigger screen size amplifies the users’ viewing experience. With a debut in the big screen size market with our 65-Inch variant at competitive pricing, we aim to cater to the needs of our valuable customers across India. And, overall with the enhanced specifications, we aim to provide an amazing immersive viewing, sound and smart experience for our customers”. The 65-inch Shinco 4K Smart TV will be available for Rs 49,990 till January 23 on Amazon but its price will go up to Rs 59,990 post the introductory period. For a cheaper price, Xiaomi is selling its 55-inch Mi LED TV 4X PRO for an asking price of Rs 39,999, which is known for its intuitive Bluetooth remote, 4K UHD display with HDR 10 and Android 8.0 TV interface. Kodak also boasts of the UHDX 4K Smart TV which is a much affordable option for a 4K TV at Rs 23,999 while Akai packs a similar 4K Ultra HD Smart LED TV setup for a starting price of Rs 59,990.